Welcome back. I’m terribly sorry I missed a week and left you hanging between Part 1 and Part 2 like that. If you’d like to review the basics of a blog, here’s an outstanding short video from the folks at the Common Craft Show: Blogs in Plain English. Individuals start blogs for many reasons. A family member coping with a medical condition or treatment might post progress reports with far less time and trouble than daily emails to individual family and friends. The same is true for people striving for a goal (running marathons, climbing mountains, losing weight, opening a business) or keeping a travel diary. 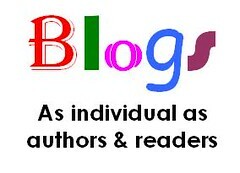 Libraries can help these individual bloggers by providing access, start-up assistance, and reasonable ongoing support. Your library might consider offering a blogging class for the public. If kept simple, even a novice can create an attractive blog and understand the basics within a single hour workshop. Within the library world, Librarians use blogs to share ideas and experiences, prepare for conferences, and report news and issues from those conferences. Jenny Levine, The Shifted Librarian, is one of the masters of live blogging — describing a presentation while it’s still underway. Libraries can dive into blogging as institutions, too. An active teen group might consider keeping a blog to talk about upcoming events or rehash the last one. Staff interested in reader’s or viewer’s advisory can review new books, movies, or music available at the library and solicit patron feedback. Reviews should be honest, though. Proudly book talk, sure, but be willing to rag on something that deserves it, too. Reference staff might contribute some chatter about new databases, tools, and invaluable resources. Directors can become more connected to their communities by writing about current library issues (rearranging floor space, offering new services or programs, funding issues) in a conversational style. Tell the newspaper about it. The growing archive of transparent library operations could become an invaluable addition to their reputation. These blogs need not reach a wide audience to be successful, but they will likely find a niche once they’re advertised and talked up at programs. My personal belief is that blogs shouldn’t be viewed as tools unto themselves but as part of an overall interactive strategy; an extension of personal service in the library; informal communication with chance of feedback. Of course, any blogs on the Internet might also attract readers outside your traditional service area. That’s okay. But local publicity and a steady focus on your target audience should maintain a healthy balance. Want to browse more varieties? Ellyssa Kroski, the iLibrarian recently listed 18 Different Kinds of Blog Posts. Think about a blog you’d like to create. Consider a topic. This could be a fun topic you use as practice, or a serious topic you plan to develop fully. Some ideas: hobbies, crafts, pets, experiences, traveling, reading interests, music, faith, politics, issue advocacy, etc. Just make sure it’s something you feel comfortable discussing in public! Consider a voice. How formal/informal do you want to be? You should write with your audience in mind. Set up an account. There are many free platforms out there, but Blogger and WordPress are popular and have easy set-up processes. Blogging software can also be installed on a server of your choosing, too. Your library might have blog capabilities. Ask. Paint the walls. Give it a name, choose a template (layout, colors, tools), and write a profile. Get comfortable with it. Write a brief “Hello World” introductory post. Mention your objective. Be honest. Solicit some feedback. Send your address to a few friends or coworkers and solicit their feedback.